Maritzburg United completed their highest ever finish in the Absa Premiership, ending the season in eighth spot after beating AmaZulu 2-1 on Saturday. Deolin Mekoa gave Maritzburg United an 8th minute lead. Three minutes later Bongi Ntuli was denied by Shuaib Walters. In the 31st minute Usuthu had an opportunity to equalize but Sedat Ouro-Akoriko wasted Van Heerden’s set piece as he headed wide unmarked. Ntuli went close after the break before Tapelo Nyongo found a 73rd minute equalizer for Usuthu with a header from Van Heerden’s set piece. In the 79 minute Ndulula missed a good chance for AmaZulu beforwe Mekoa was denied by Usuth stopper Energy Murambadoro managed on 83 minutes. 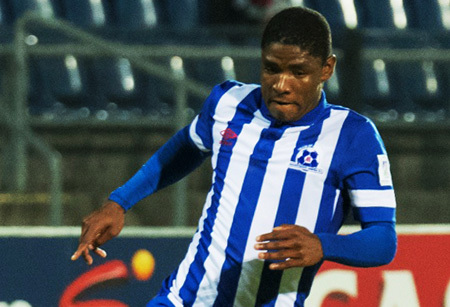 In the last two minutes of the match Abel Mabaso supplied a cross and Mokate made no mistake and found the back of the net for Maritzburg United.